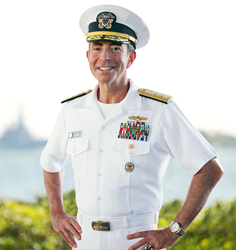 Rear Admiral Paul Becker, USN (Ret) Co-Chaired the annual Defence IQ Maritime Intelligence, Surveillance and Reconnaissance (ISR) Global Conference from September 25-27 at the Sheraton Parco de Medici Hotel in Rome, Italy. The theme of this year’s conference was “Domain Awareness and Decision Advantage, From The Seabed to Space.” The event brought together 150 thought leaders from six continents and dozens of international presenters with a goal of encouraging greater cooperation and trust building between allies and partners, civil agencies and industry. The action-packed agenda included a day focused on Space (sensors, technologies, innovation commercial applications), Maritime Security (threat environment, regional cooperation, border protection, China’s maritime intelligence architecture) and Industry Leader Panels (global trends, procurement, unmanned systems and integration). 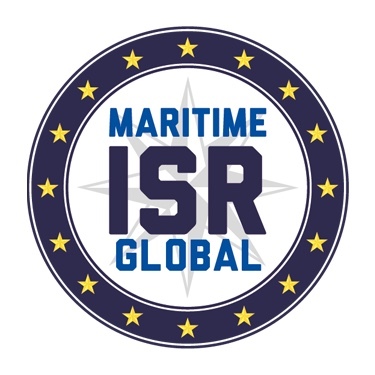 The Maritime ISR Global Conference’s other Co-Chair was Vice Admiral Alan Richards, Royal Navy (Ret), former UK Chief of Defence Intelligence. Rear Admiral (Ret) Becker is a former Director for Intelligence (J2) of the Joint Chiefs of Staff, the U.S. Pacific Command and the International Security Assistance Force Joint Command in Afghanistan. In 2016 he founded and became CEO of The Becker T3 Group, a Consultancy which provides motivational keynote presentations focused on leadership development and organizational improvement, as well as advisory services on risk mitigation, crisis management, cyber security and international affairs. Rear Admiral (Ret) Becker has an active fall schedule with keynote presentations scheduled in Chicago, Halifax, Washington, DC and Tokyo. He will continue demonstrating the application of T3 - Teamwork, Tone, Tenacity® - to inspire leadership development, organizational improvement, and increase situational awareness and understanding of diverse business sectors. Founded in 2016 and based in Washington, DC, The Becker T3 Group is a Service-Disabled, Veteran-Owned Small Business (SDVOSB) Consultancy which provides motivational keynote presentations focused on leadership development and organizational improvement, as well as advisory services on risk mitigation, crisis management, cyber security and international affairs.